At Twistfix, there isn’t much we don't know about damp. In fact, we are pretty sure we know all there is to know about this pesky problem and, if you're reading this, then chances are you have come into unwelcome contact with it and need some help. Or perhaps you are one of the ‘be prepared’ types and want to avoid the problem before it happens. 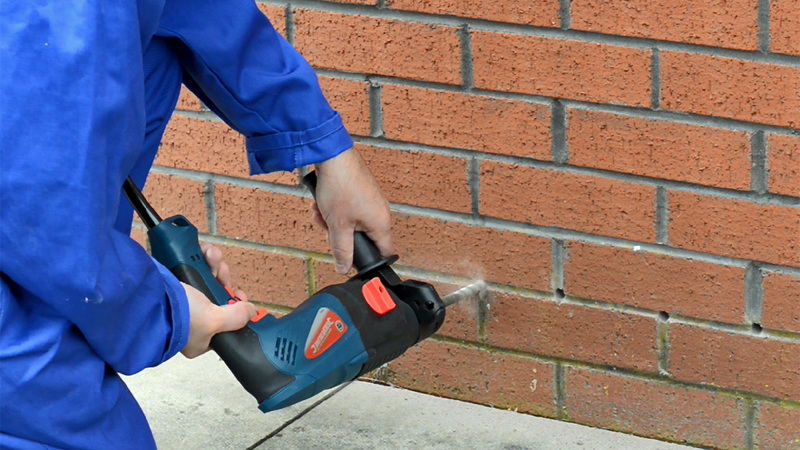 In any case, you're going to need our how-to guide on damp proofing walls, the Twistfix way. Rising damp, the inexorable and persistent movement of groundwater upwards through permeable masonry, that is to say, walls. Water is funny stuff with many odd properties (including expanding as it freezes, unlike all other liquids) and one of these is capillarity, an electroc­he­mical process in which water molecules are so attracted to the mineral surface that they overcome gravity. The result: damp walls leading to all sorts of other issues with the structure and the growth of moulds that are extremely harmful to human health. A Damp Proof Course, or DPC for short. There are two types: one is a barrier impervious to water which is usually laid directly along bed joints during building construction. This is complemented by the remedial chemical DPC, which can be used successfully in a retrofit application by trade specialists and other competent structural workers and DIYers. Usually, damp proofing chemical product is applied along the base of affected walls, lining the pores though not forming an impervious physical barrier. The aforem­en­tioned tendency of water molecules to be attracted to masonry is prevented as the chemical neutralises the charge attraction of the masonry pores. The chemical DPC system chosen should be specifically designed for introduction to mortar joints, as it is the mortar that offers a continuous passage through which water can rise; DPC introduced into single bri9ck or block units will not prevent this rising. A height of at least 150mm above external ground level and beneath ground floor joists internally is required by BS 6576:2005: as close as possible to the floor is acceptable if the joists are solid. Incom­pati­bility issues require the services of a professional and our trained staff are always available to help out. At 100-120mm intervals, holes are drilled into the mortar in preparation for DPC cream to be dispensed. Migrating fully and rapidly, the cream will penetrate deeply and create the damp proof course. Any additional injection holes require vertical drilling, following a zigzag pattern through the mortar-line up to a height of one metre. The holes should then be injected with DPC cream, forming the vertical DPC that will effectively prevent damp transmission from any abutting wall. High pressure injection fluids have been superseded by more effective DPC technology, readily available from Twistfix. The thickening agents relied upon by older creams are no longer required to turn the product into a workable mixture with the right viscosity; our Damp-Cure DPC, with its silane.­siloxane formula, is thickened purely by emulsi­fica­tion. This means that the remarkable cream is 100% active, compared to the previous generation of DPC’s which boasted a pitiful 60% active ingredient content at best and sometimes as low as 10%. Groundwater that has risen through masonry pores will have left nitrates and chlorides behind. These salts are hygroscopic, which means they can absorb moisture from the air around (a quality that increases with humidity). Even when the water source has been eliminated, the absorbed salts will continue to attract airborne water vapour, meaning that damp continues to be an issue even after the DPC installation. Replastering the wall after the job is complete is therefore not only an aesthetic issue but an integral part of the process; indeed, replacement of wall plaster after the installation of a DPC is a requirement of BS 6576:2005 (the Code of Practice for Installation of Chemical Damp Proof Courses). We have put together a video with lots of details and information about damp proofing walls and you can watch it. Defeat Damp the Twistfix Way!